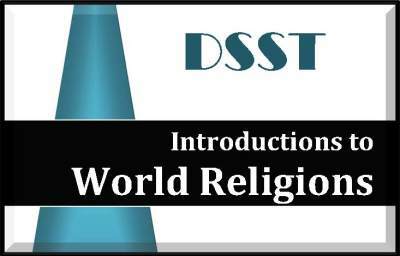 The Introduction to World Religions study guide will supply you with the knowledge of basic facts and terms and help you understand the concepts & principles of different religions. The DSST exam is equivalent to a one semester, 3 credit college humanities course and has been accepted for credit at EC. Thousands of colleges across the country accept DSST & CLEP credit toward your degree. This is a complete exam study guide - All you need to study for & pass your exam is here! For a download purchase, an email is sent after payment with instructions & the download link. Check your inbox & spam/junk folder! Each study guide is a PDF document. The study guide portion of the document is 260 pages and loosely follows the content guide outline/syllabus and covers all areas noted. There are at least 200 practice questions included (NCLEX format with rationales) as well as reviews, summaries, charts/graphs/pictures and/or flashcards to help with your study! Read page 3 of each study guide for important information before you begin! This Study Guide would make a great study resource for a formal or online class too! © 2018 Dr Cera Hensley RN BCND MyStudyGroup101 LLC All Rights Reserved.